SynAudCon is gearing up for InfoComm 2019 where it will present a 3-day training event called “OptEQ – Equalization Demystiﬁed” at the June 8-14 Orlando, Fla., event. The seminar (along with many of InfoComm 2019’s other 3-day seminars) is held prior to the exhibition show on June 8-10 inside the Orange County Convention Center – West. What Is OptEQ – Equalization Demystiﬁed? The training, “OptEQ – Equalization Demystiﬁed,” is a comprehensive approach to sound system tuning which combines contemporary and legacy design and equalization practices into a logical, accurate, repeatable process, according to a SynAudCon press release. OptEQ is a set of tenets that can be applied using almost any mainstream dual-channel FFT measurement system, it adds. “We are proud to once again work with InfoComm, and to have our training listed with their prestigious 3-day training events,” write SynAudCon owners Pat and Brenda Brown in the press release. 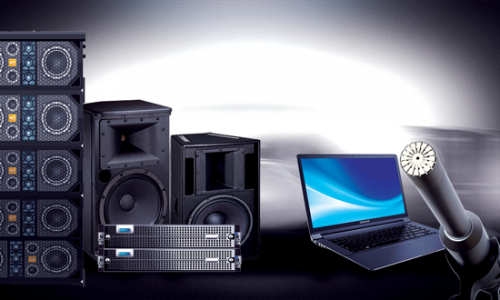 OptEQ is a 3-step approach to sound system optimization. The ﬁrst step concerns the loudspeaker, the second its placement in the room, and the third the room itself. Step 1 is direct ﬁeld optimization that produces reference response for the loudspeaker that conﬁrms it is functioning as designed and to its fullest potential. Step 2 adds an equalization layer to compensate for anomalies caused by boundaries around the loudspeaker. Step 3 addresses room resonances and coloration using a dual domain approach. SynAudCon primarily promotes the event to audio professionals who need to bring sound systems to their fullest potential. “OptEQ – Equalization Demystiﬁed” training event is approved for 24 RU’s. Registration for this event can be found on the InfoComm 2019 website. More information about this event as well as other training opportunities can be found on the main website: ProSoundTraining.com.